« Is Australia’s energy future offshore? Melbourne can fairly be considered the centre of the Arts in Australia. It offers a remarkable range of arts in all fields, including visual arts, theatre, dance and music. But life is hard for creative artists and performing artists. Most people understand instinctively the value of the Arts, and enjoy going to exhibitions, concerts or plays; a lot of people collect paintings or photographs or sculptures. But how do we ensure that there is a future for the next generation of creative artists? 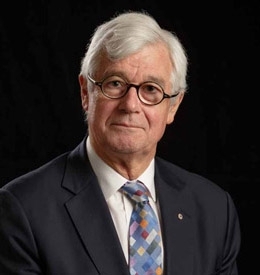 Julian Burnside AO QC is a passionate advocate for the arts, a collector of contemporary paintings, photographs and sculptures and regularly commissions music. Julian is the Chair of fortyfivedownstairs and was made an officer of the Order of Australia in 2009 for service as a human rights advocate, for service to the arts as a patron and fundraiser, and for service to the law.